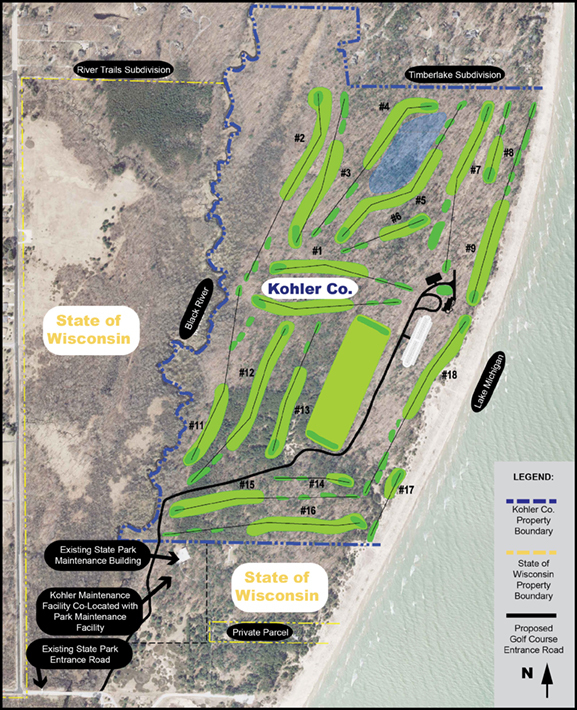 Kohler Co. has announced it has made important modifications on its proposed golf course design in the Town of Wilson so that it sharply reduces impacts to wetlands, significantly decreases the amount of property needed for an easement on state land, and does not impact state property west of the Black River. 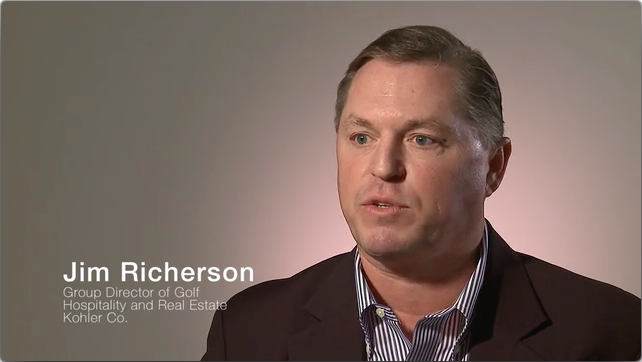 Jim Richerson, Group Director of Golf for Kohler Co.’s Hospitality and Real Estate Group, said the revised plan will have a minimalist design that will allow the land to breathe and protect more wetlands. The modifications also limit the easement to state land now used for maintenance operations and not routinely accessed by the public. Preservation of more wetlands: Scaled-back plans, including a modified course layout, a rerouted entrance and a minimalist design, will reduce impacted wetlands to less than five acres from more than 25 acres originally estimated. Kohler would mitigate the wetlands impact by following the state’s mitigation program that allows the company to preserve additional wetlands (preferably in Sheboygan County) or contribute to the Wisconsin Wetland Conservation Trust, resulting in a net increase of wetland habitat. Reduced impact to state land: The revised proposal would affect approximately four acres of state land for an entry road and maintenance building in an area already used by the state park for a maintenance facility and operations. This area of the state park is not normally accessed by the public, and the easement would follow a route similar to the one approved for a previous development proposal. The original plan impacted approximately 33 acres of state land for additional golf course use, a maintenance building and an access road that crossed park trails. The original plan also required a new river crossing impacting wetlands to the west of the proposed golf course. By utilizing and enhancing the state park’s existing entrance, public areas of the state park are not impacted. Natural methods preferred: The course will be designed to require minimal maintenance, and the company will use natural methods for controlling invasive species whenever possible. Kohler has a proven record of best management practices regarding use of approved pesticides, herbicides and fertilizers on its golf courses and its courses have never been cited with an environmental violation. Removal of invasive species: Sound land management principles will feature the removal of invasive species, including the predominant Japanese barberry – a thorny tangle that makes portions of this land impenetrable and whose removal will allow the land to breathe. Adoption of green building standards: Clubhouse plans call for environmentally sensitive design standards to achieve eligibility for LEED green building certification. Expanded public access: For decades, only a limited number of area residents had permission to access the property with no cost or taxes to themselves. Among the most vocal opponents of the project are some of those residents who apparently prefer that the land be maintained for their private use. But, like Kohler’s four other award-winning golf courses, this course would transform Kohler’s private property into a public golf course with a realistic chance of it being considered among the top 50 in the world.